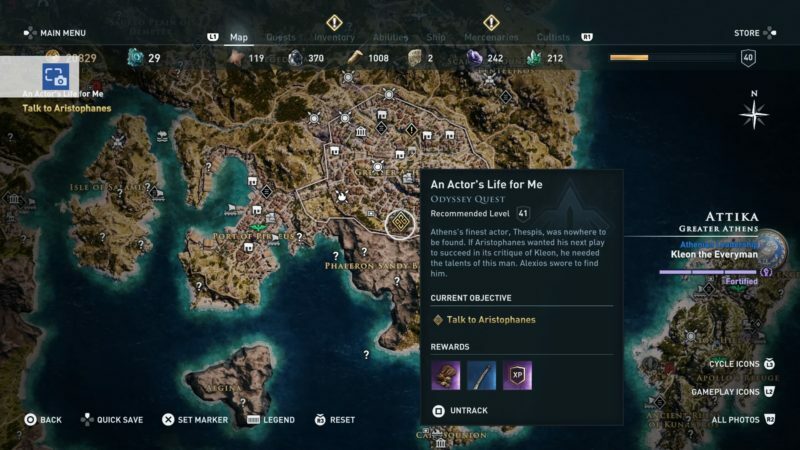 An Actor’s Life For Me is a main quest in Assassin’s Creed Odyssey by Aristophanes. 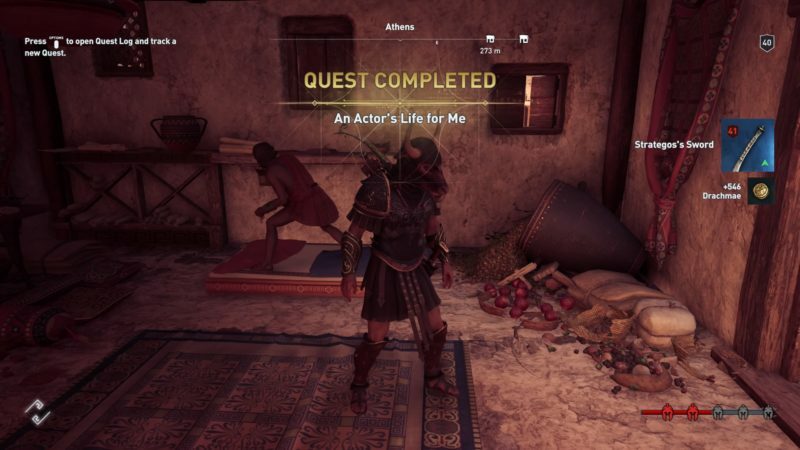 Your task is to help Aristophanes find the actor who works for him, since he is nowhere to be found. 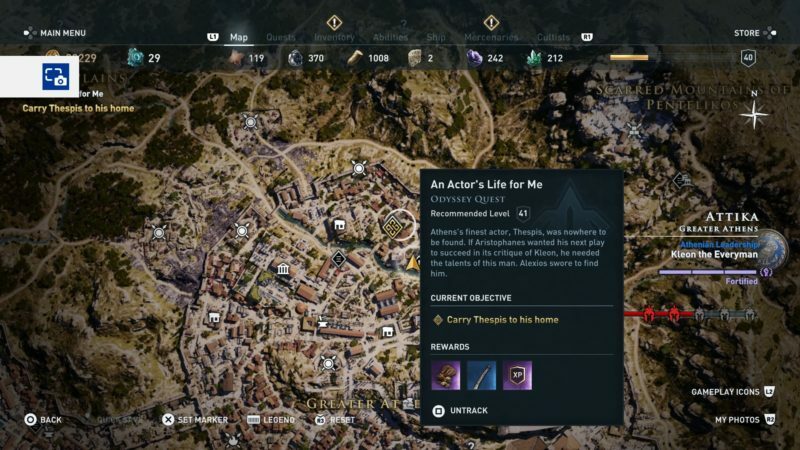 Here’s a walkthrough of An Actor’s Life For Me in AC Odyssey. 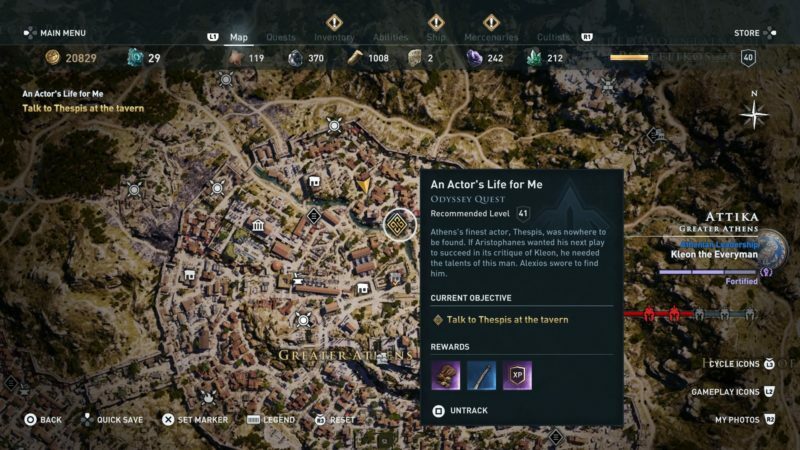 This quest is recommended for those level 41 and above. 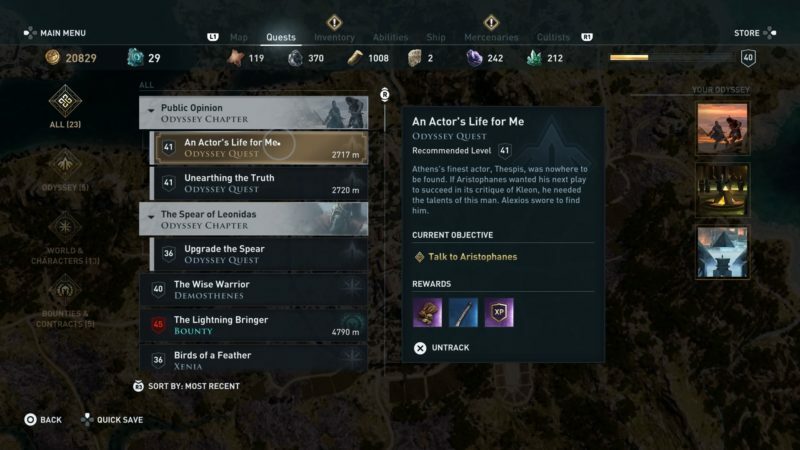 To start the quest, talk to Aristophanes who is inside Perikles’ Residence. You will find him with the rest of the people, including Sokrates. 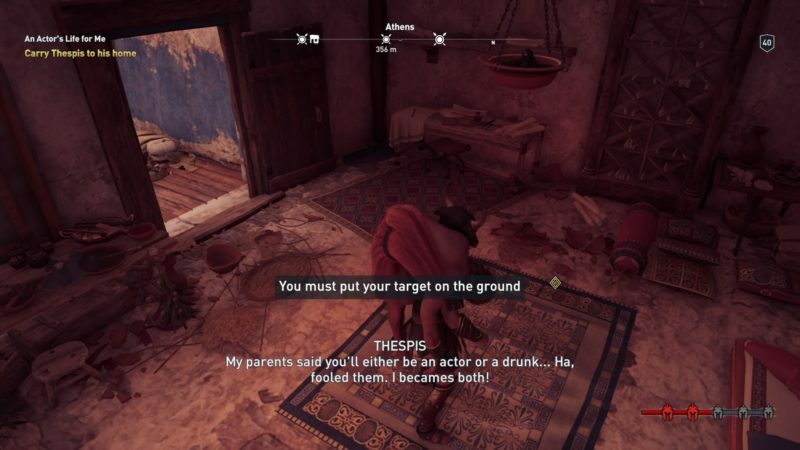 The actor that works with Aristophanes is called Thespis. As he went missing, you have to find him. 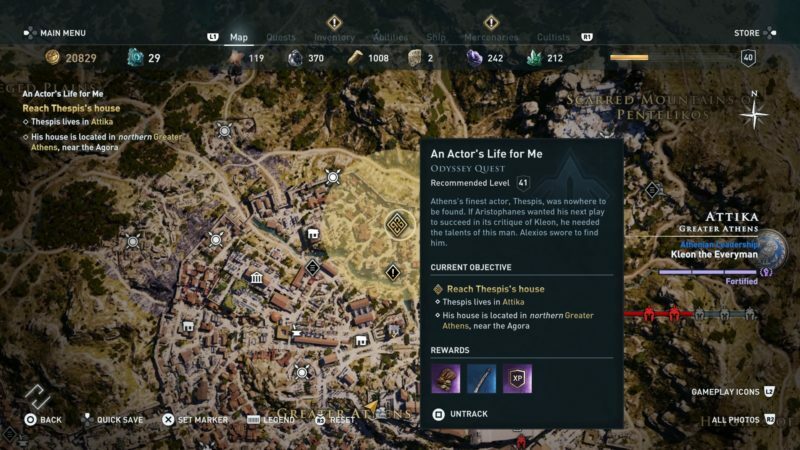 The exact location of his house is shown in the map below, marked as the quest symbol. As you get into the house, you will notice a guard inside. 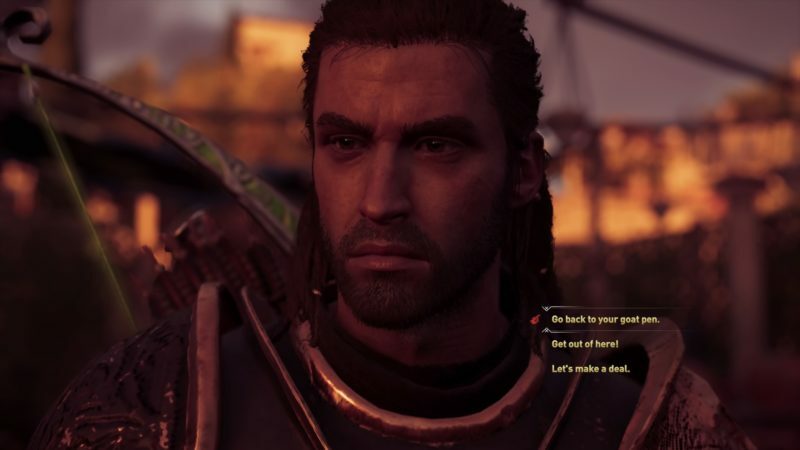 During the cutscene, you can choose to kill him or recruit him as your crew member. 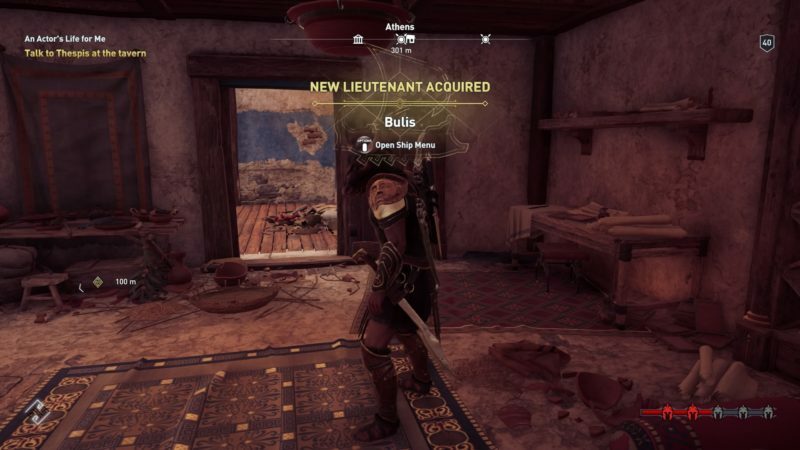 I chose to recruit him and got a new lieutenant. 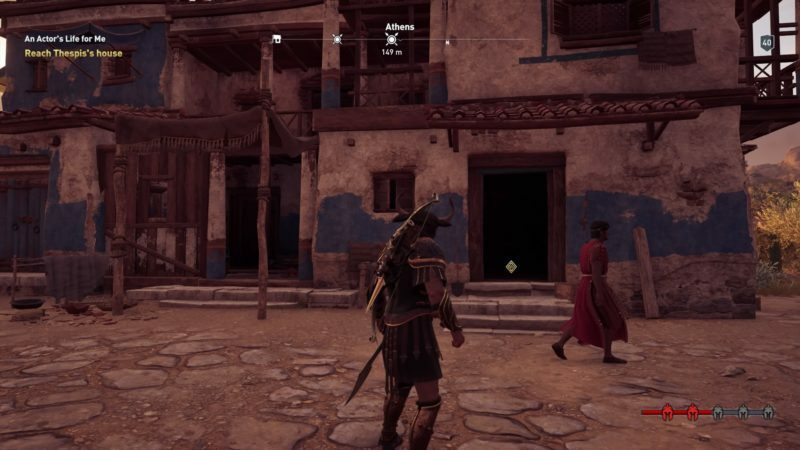 After the guard tells you that Thespis is in the tavern, go and find him. 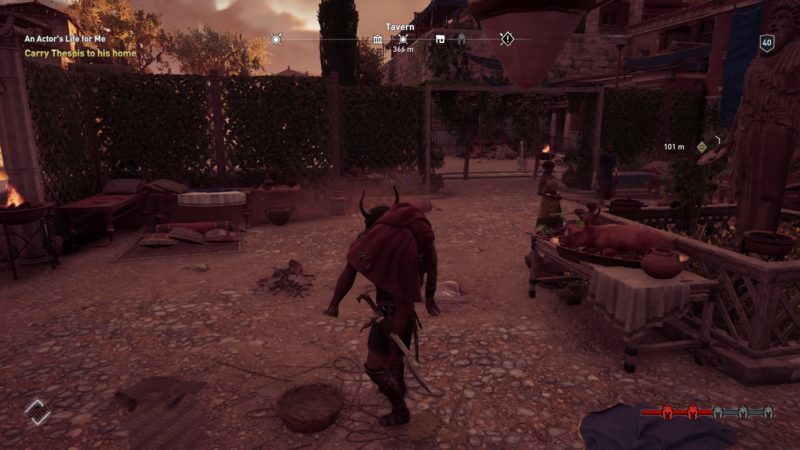 You will notice a few guards surrounding Thespis and the latter is drunk. 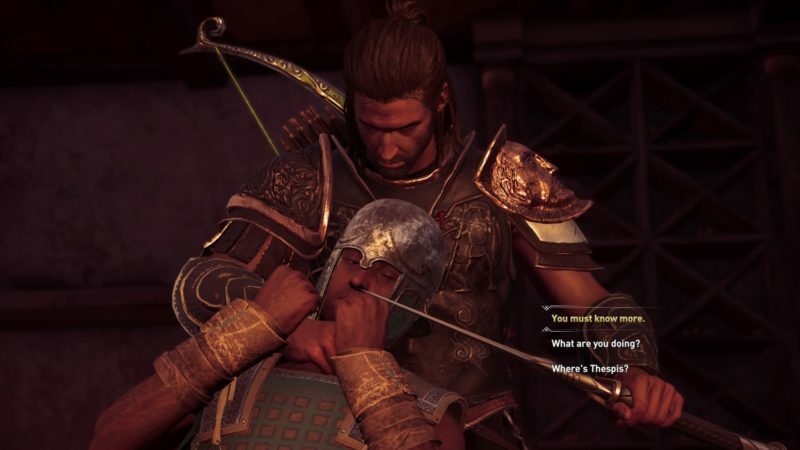 Talk to him and a few guards will prevent you from taking Thespis away. I chose to “make a deal”. if you had chosen otherwise, you probably have to kill them. As for payment, I chose 600 drachmae. I’m not sure what would have happened if you had chosen 300 instead. This is the peaceful option. 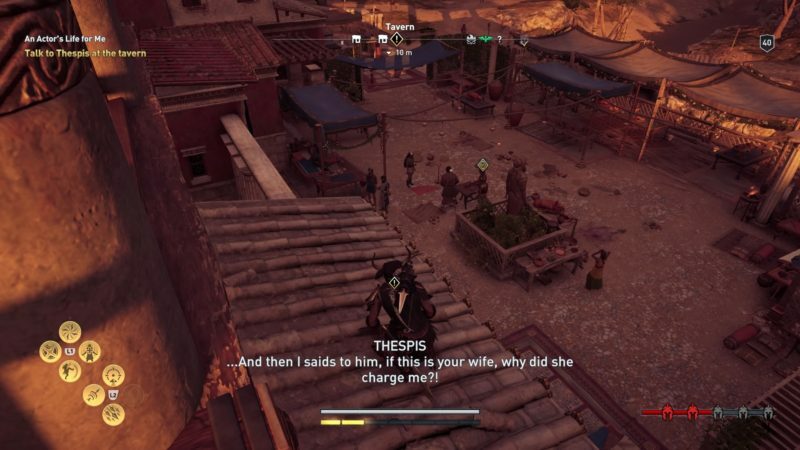 Carry Thespis and get back to the house you found earlier. The location is shown in the screenshot above. 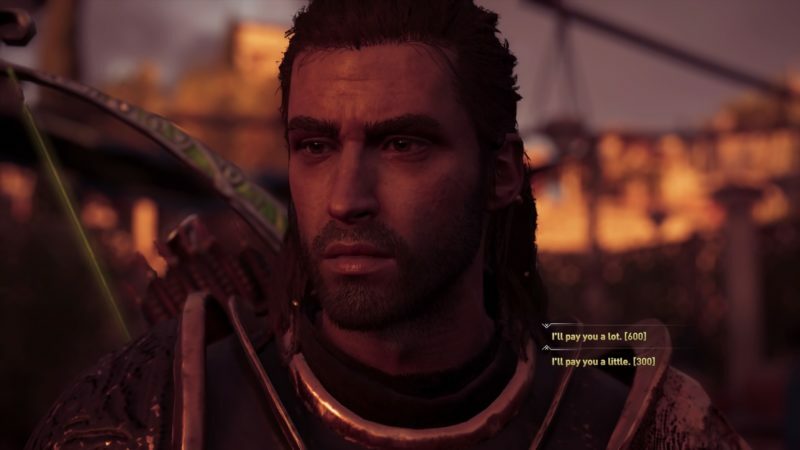 As you arrive, throw him on the ground. 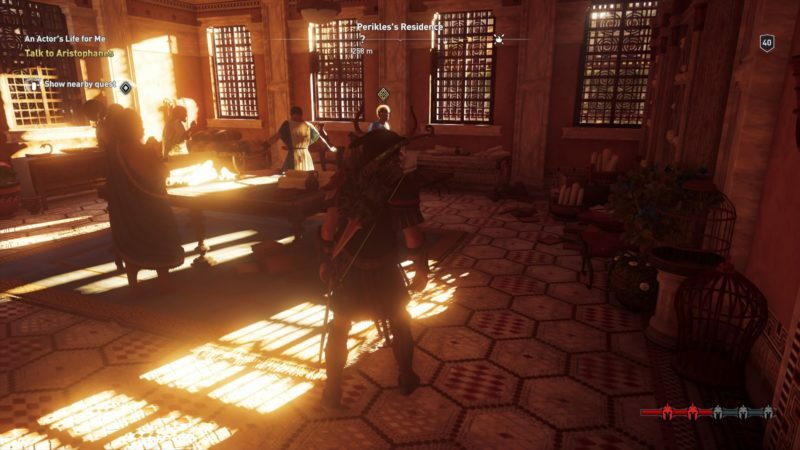 The quest completes here and you will get some drachmae plus Strategos’ Sword.